Photographer Stuart Westmorland shares his photos and travel stories. I have been a huge U2 fan since the early 1980’s. I have attended a live U2 Concert for every single tour since their monumental and blockbuster album ”The Joshua Tree” was released in 1987. In 2005 one of my best friends, Ed Weber and I traveled to see U2 for the Vertigo Tour in Los Angeles, Oakland, and their final show in America in Portland, Oregon. We braved snow on the ground, freezing cold and wind all day in line to get near the outer circle stage. 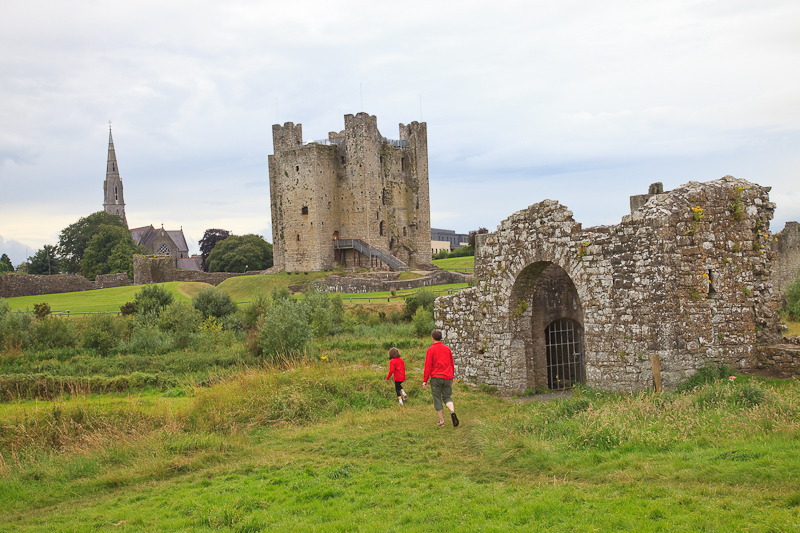 We decided then that if we ever had a chance to see them in their home town of Dublin, Ireland we would find a way to make the journey. In fact, one of the top things in my own “Bucket List” was to make it the Inner Circle (inside the outer stage) and keep going to U2 concerts until I had accomplished this. To get into the Inner Circle in past tours it was a random thing as your tickets were scanned a small percentage of general admission tickets were given the privilege of getting the intimate inside circle that faced the main stage. In the course of our amazing trip we not only made it the Inner Circle, we visited Bono’s seaside mansion and walked on Bono’s Beach, visited Slane Castle where “The Unforgettable Fire” was recorded and also the site of two of the best U2 outdoor concerts ever, and enjoyed many Dublin sites and met so many wonderful Irish people. Much of the success of our trip was due to a Dublin friend I met on a Sailfish Trip in January 2009. Nigel was also a U2 fan and mentioned that he would be willing to show me around if I ever scored tickets to the Holy Grail of U2 concert locations. We originally set out to see just one show and as members of the fan club were allowed to purchase 4 tickets ahead of the general public. Nigel traded us 2 general admission tickets for the 2nd Show on Saturday so departed for Ireland knowing we would get to see 2 incredible shows. 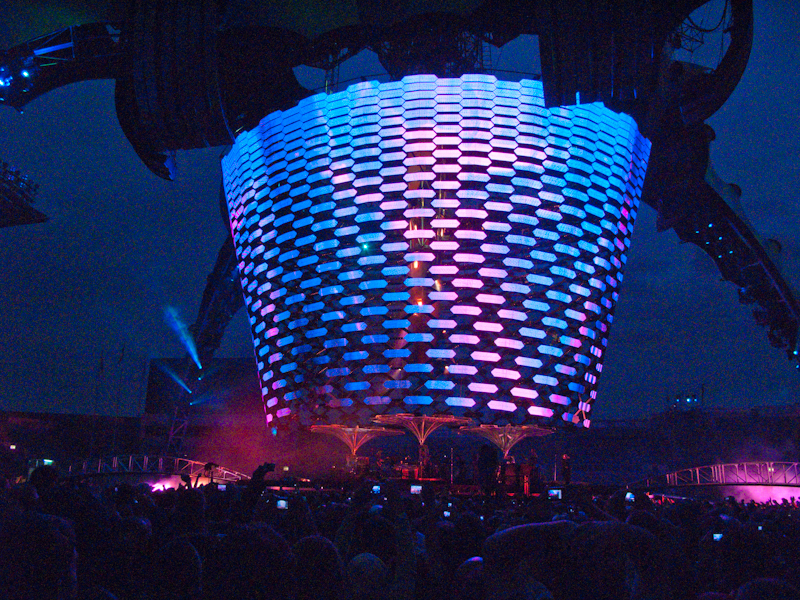 The U2 360 Tour is the grandest high tech stage ever built for a rock concert tour. 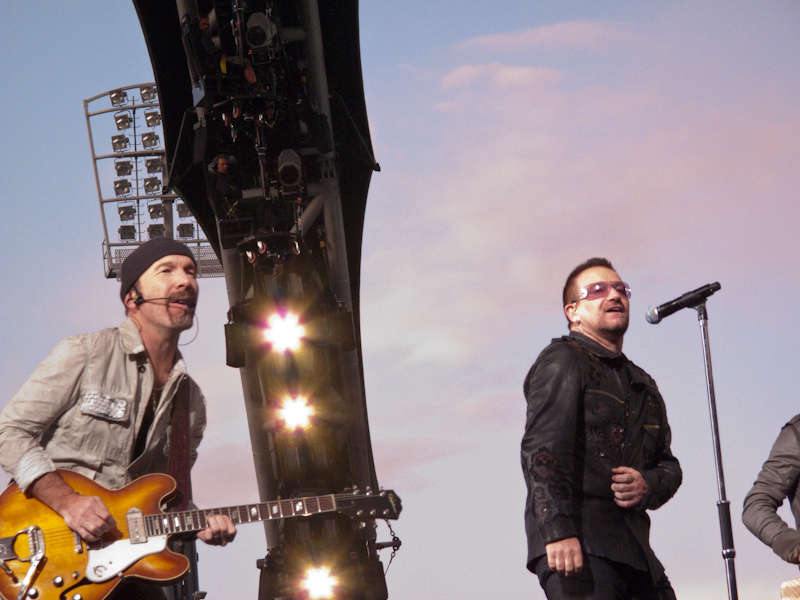 It was designed for unobstructed views from all seats in the large outdoor stadiums U2 is playing worldwide. 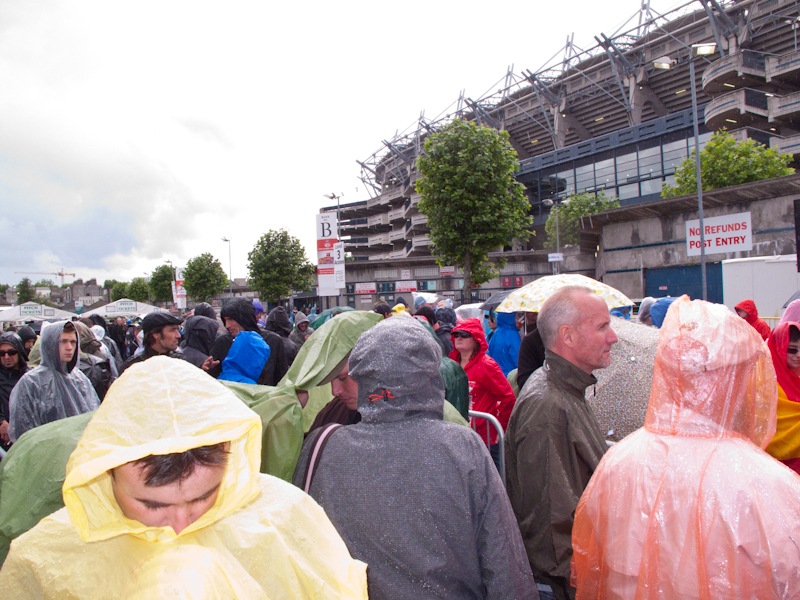 Croke Park, a large outdoor stadium in the heart of Dublin fits 80,000 people so sharing this space age stage with rabid U2 fans from around the world was an experience not likely to be matched. Ed and I ended up seeing the opening show July 24 from the Inner Circle after getting in line at 8am and finding more than 200 people already in line in front of us. We went to the show on Saturday Night July 25th with Nigel his wife Sinead, and two of their friends just 90 minutes before U2 started playing and still found a decent position 100 meters from the outer circle for a total different view and experience. Many of the songs were different and the sound was actually much better than the opening night right in front. We were also able to get general admission tickets to the Monday show and this final show was nothing short of spectacular. The photos and videos were shot with the latest Canon Powershot G10. No camera was allowed in with a lens longer than 2 inches. I was amazed at the quality of photos and video with this small point and shoot camera. My print prices are posted on my Print for Sale page for anyone looking for large prints of any these images. Video & photo links from the epic concerts posted below. Adorei as fotos do show do U2.Também gostei das fotos que vi da Irlanda. Espero poder também compartilhar a alegria de ver a ultima turnê do U2 aqui no Brasil.